The Anglo Polish Society originated as an association set up by the poet Thomas Campbell and his friends to offer sympathy and support to Polish insurgents following an uprising in 1832 to gain freedom. It was brutally put down by the Russians and some of the insurgents found refuge in England. After the Second World War, the Anglo Polish Society was revived as a regional independent association – The Anglo Polish Society Bristol and the South West became the focal point in the life of the Polish Community. Polish soldiers, airmen and sailors who had fought as allies alongside British armed forces and some survivors of the Warsaw uprising who reached the UK, could not go back to communist dominated Poland. Some settled in Bristol and the South West with their families. They were among the first members of the Society. 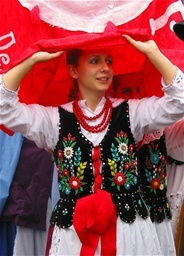 The Polish community greatly expanded with the arrival of a large number of Poles after Poland joined the EU and the membership of the Society increased. Promote good relations between local communities and Poles living in the area. Organise social and cultural events to further promote social cohesion: concerts, exhibitions, lectures, get togethers. Provide information at the Society’s office and by phone so that Poles newly arrived in Britain may need help as well as the established community. Help in dealing with various organisation and filling in tax returns. Collect and preserve materials relating to the Polish community in the West Country for the Anglo Polish Society Bristol and the South West achieve at the Bristol City Museum. Annual General Meeting is held each year in April where old and new members are most welcome.